Nearly 20 years ago, the Turobiner family, with over 40 years’ experience in the auction business, recognized the need for an on-site auction firm that would provide a unique experience and exceptional quality for buyers, collectors and aficionados of diamonds. 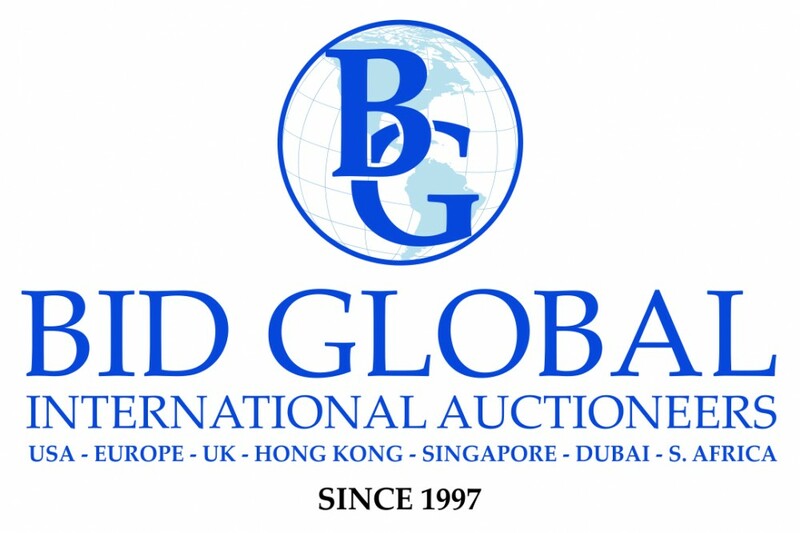 So, in 1997 the husband-and-wife team of Martha and Julian Turobiner founded Bid Global International Auctioneers, to fill that need. Today, the firm hosts hundreds of live auctions per year in major worldwide cities like Singapore, Hong Kong and London, plus many online auctions as well. A year and a half ago, Bid Global scored a major coup when it gained the exclusive rights to the world’s largest De Beers (of London) sight-holder, to wholesale diamonds through auction. “Because our diamonds come straight from the sight-holder, thus avoiding the usual wholesaler mark-ups, people who buy from us are in essence buying from the source and saving a great deal of money,” said Julian Turobiner, Bid Global’s president. Visit www.bidglobal.com. Costume dresses worn by Julia Roberts as the evil queen in the movie Mirror, Mirror Evil Queen – including the signature dress shown here, designed by the late, Oscar-winning costume designer Eiko Ishioka – will be part of Premiere Props’ Hollywood VIP Auction, slated for this coming Saturday, December 17th, online and in El Segundo, Calif. The dress is an expected top lot, with an estimate of $10,000-$15,000. The auction will feature more than 500 lots of props, costumes and other memorabilia from many classic and blockbuster movies and TV shows. Also up for bid: a screen outfit worn by the late actor Philip Seymour Hoffman in his Oscar-winning performance as author Truman Capote in the 2005 film Capote (est. $500-$700); a Hawaiian print shirt and shorts worn by Justin Timberlake in the movie Alpha Dog (est. 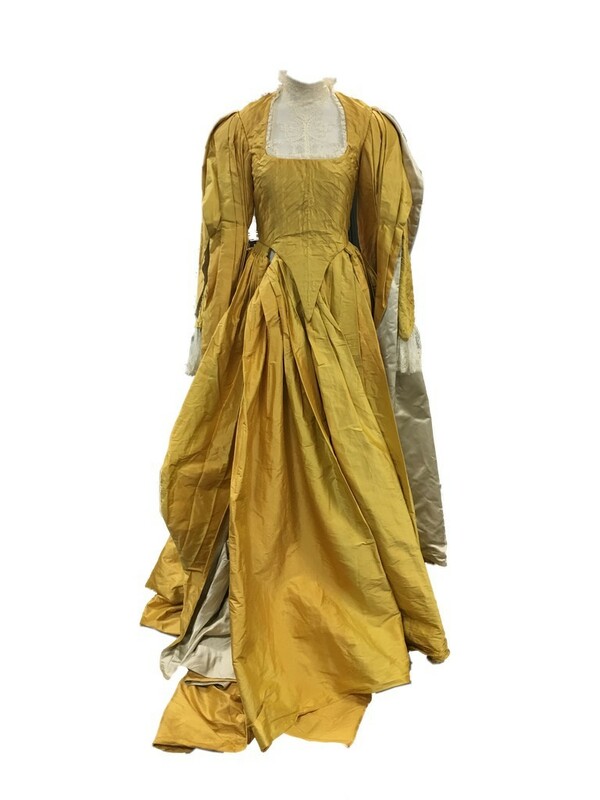 $800-$1,200); the long, lace-up dress worn by the actress Milla Jovovich as “Milady” in the film The Three Musketeers (est. $8,000-$10,000); and a bloody-appearing costume with silver plastic chest plate actor Henry Cavill wore in Immortals (est. $1,500-$2,000). Visit www.premiereprops.com. What is it about ‘50s and ‘60s-era American-made muscle cars that makes them so absolutely intoxicating to collectors and vintage auto enthusiasts? We’re not sure, but there will be several prime examples in Stevens Auction Company’s next big auction, slated for Saturday, January 7th, online and in the firm’s gallery at 609 North Meridian Street in Aberdeen, Miss. 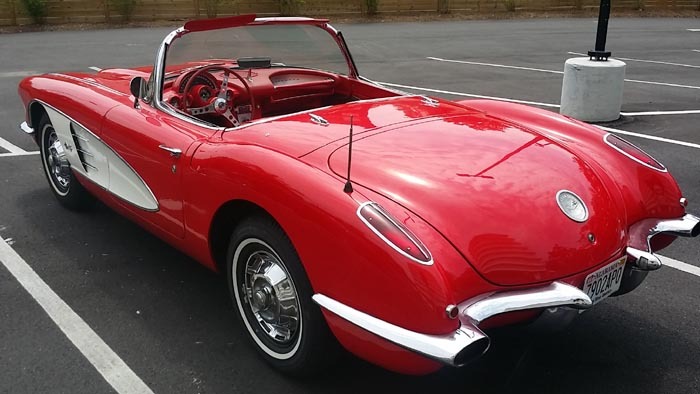 Certain to attract attention is the 1959 red Corvette convertible shown here, in like-new condition, with the original 283 engine, a four-speed transmission, hard and soft tops and gorgeous red leather seats. Also up for bid will be a 1970 Dodge Challenger convertible, one of only 378 made, also in mint condition following a frame-off restoration; a 1965 Barracuda; and, for fans of more recent fare, a 2007 Pontiac Solstice convertible sports car. Then there’s a 2010 Itasca Cambria model 28B motor home, for true open road warriors, 29 ½ feet long, with just 41,500 miles on the odometer. The vehicle is fully loaded and in excellent condition, ready to take its new owner on an exciting road trip. The auction starts at 9 am Central time. Visit www.stevensauction.com. 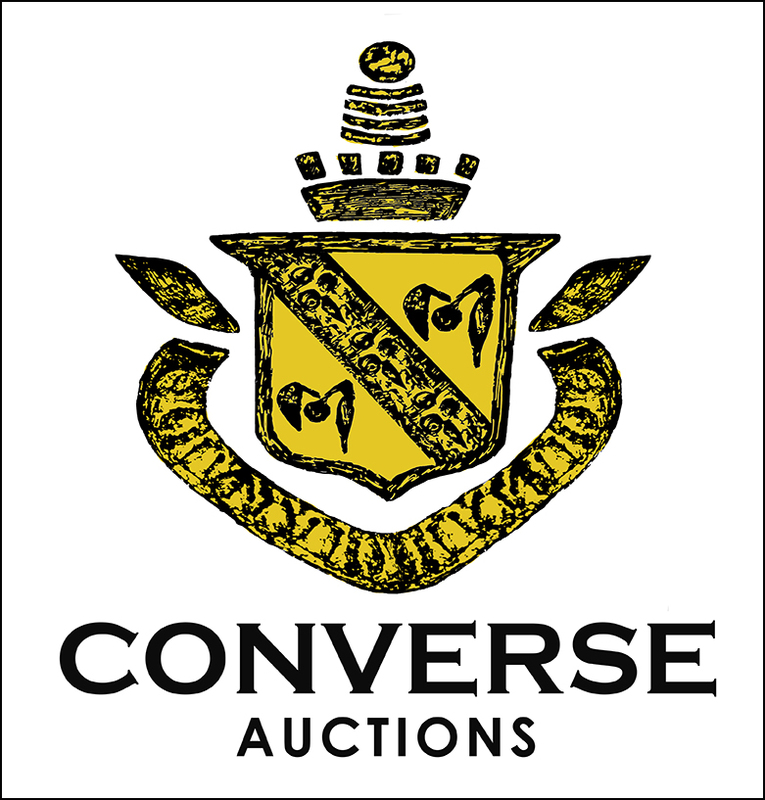 Much has been happening at Converse Auctions, based in Malvern, Pa. Earlier this year, the company changed its name from Gordon S. Converse & Company, named after the man who founded the firm after beginning his career as a horologist and appraiser on the PBS series Antiques Roadshow, to Converse Auctions. Gordon is easing into retirement and turning over control of the business to his son, Todd, who brings 15 years’ of experience, an appreciation of beautiful things and new energy to Converse Auctions. He worked under his father for years. So it’s fitting, then, that the new firm would usher out 2016 with a major auction, and it’s doing just that with an online-only sale on Friday, December 30th. The entire catalog can be viewed now, at www.converseauctions.com. It’s being called an Important New Year’s Chinese Auction and will be packed with Asian objects and antiques. Moving forward, Converse Auctions will continue to capitalize on the current demand for all things Asian, while paying close attention to its primary niche: antique clocks and watches. Visit www.converseauctions.com. It’s easy to overlook some of the dizzying estimates and prices realized for rare and old coins at auction, mainly because numismatics and philately seem to exist autonomously, separate and apart from mainstream antiques and collectibles. But Heritage Auctions, based in Dallas, Texas, has its finger very much on the pulse of the rare coins world, as evidenced by the string of successful auctions it has either conducted or co-conducted in recent years. A good example is the Word Coins Signature Auction the firm will conduct January 8th and 9th in New York City. The event will be held at the 45th New York Numismatics Convention. An expected headliner is a group of 13 proof coins from Japanese Meiji Year 13 (1880). 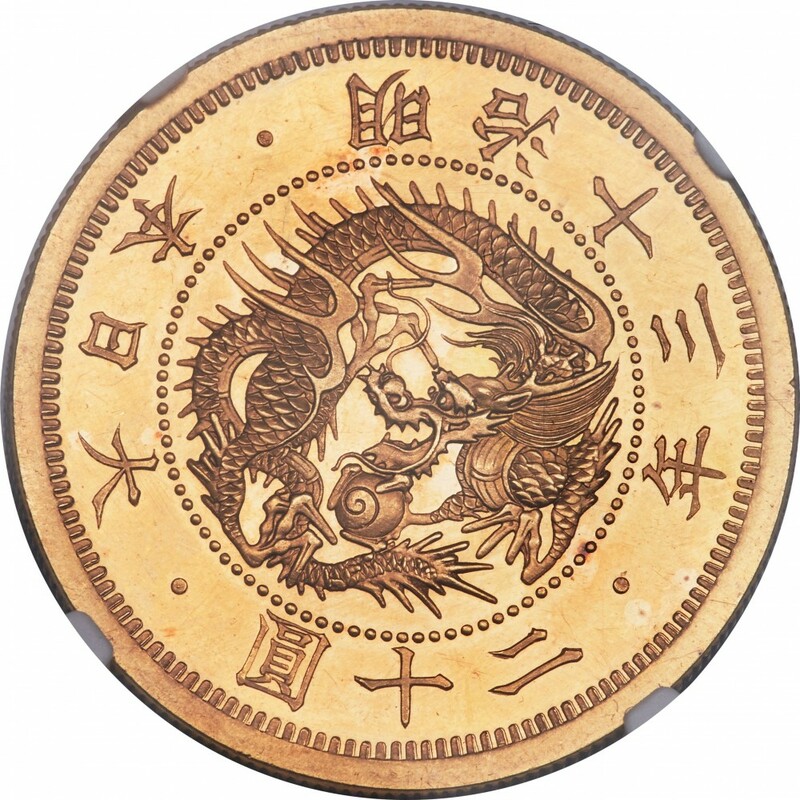 Only a handful of proof coins were produced by the Japan Mint in 1880, for use only in presentation sets. Proofs were struck for 13 types and 11 are present in the collection being sold. Leading the consignment is a 20 Yen gold coin, graded PF64 Cameo NGC. An example of the coin last sold at auction in 2011, pulled from the Norman Jacobs Collection. It hammered for $230,000. Visit www.ha.com.